Total donations received so far look to be $38,985.96. 543 different payments were made so far out of 547. Thanks to KAS for the stats. He was setting up an auction for the Vasels at the same time yesterday. I did not know he was doing that and just happen to scoop him. He has kindly consented to help out here. Thank you, Neil. Has agreed to arrange for non-game donations. He will help with other tasks as well. It was Kent who came up with the original idea for the BGG support drive. He has been an inspiration to me since I joined. Thank you, Kent. "Are you pondering what I'm pondering Pinky?" "Wuhhh... I think so, Brain, but if a ham can operate a radio, why can't a pig set a VCR?" He invited entries from AEG, Mayday and Indie Boards and Cards. Thanks to him and the generous contributors. He put a call out to some designers and artists to make donations to the auction. John Kovalic answered the call. All of these gentlemen are great help. Please show them your appreciation with thumbs and kind words. I have been reading the news about Jack Vasel and I am heartsick. There is a thread that discusses the situation but I honestly don't know what to say. I only have thoughts, concern and prayers. I will administrate this auction and give the Vasel family the money. I wish I could do more - much more - but this is the most constructive thing I can think to do of at the moment. Feel free to add your items to the list. 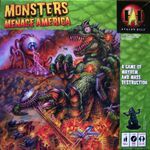 I just added this list to RPGG and VGG. This auction ends on Monday, February 7, 2011 at 9 pm - Central Time Zone. 1) Scroll up to the top of the geeklist (above the first actual game entry, below this header). 3) Select Board Game (or VideoGame or Designer or whatever) on the page that appears. 4) Enter the game name in the name field and select the appropriate game from the drop down list that appears. 5) Type in game condition and shipping information in the comments section and click on the Submit button. 2) I will announce the winner for each item. 3) I will email each winner with instructions for payment. 4) Once payment is received, I will post that information on the item. 5) The generous person who donated the item and the recipient can then work out the shipping details. Please pay shipping costs to the person who donated the game/item. 6) I will then give all the money to Tom Vasel. 7) I will ask Tom Vasel to post a comment on this list confirming that he received all the money. 8) If this does not work or if I forgot something, please geekmail me. Thank you. If you have any questions please contact me, not Tom Vasel. He announced that he is taking a rest. 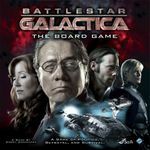 Please join in this BGG memorial. Can you add something big and noticeable to the header of the Vasel auction (and perhaps to the end comments as well) instructing people to NOT go through the Marketplace with the final transactions. We do not want to take our 3% commission on these. 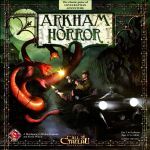 If they want to put it through BGG have them arrange it as a trade. 1) Please pay using this address, vaselauction@wehneman.com, via PayPal. THIS PAYMENT IS ONLY FOR THE ITEM. Note: This is a PayPal account for Neil Wehneman, who is serving (pro bono) as the Vasels' lawyer for the purpose of gathering the money for this auction. Don't worry, ALL the funds will go directly to the Vasels! 2) When paying with PayPal, be sure to declare this a "gift" under personal payment. That way, Tom Vasel will not have to pay fees to PayPal. 3) Also, please pay for one item at a time. We know this seems inefficient but it will really help the five of us process the items correctly. 4) Put the item number and your BGG username is the subject heading of the email. This is VERY IMPORTANT! We have 500 items to process. Failure to do this will slow down confirming the payment and getting the item to you. 5) Your payment will be confirmed on a post on this geeklist item. 6) Once your payment is confirmed, send your mailing address to the donor of your item via geekmail. Shipping costs should be discussed and handled through the donor. 7) Please allow adequate time for us to process, manage, and reply to payments. We are handling a large amount of items, with a large amount of donors and a large amount of recipients. We will do our best to handle things in a timely manner. 8) If you have any questions, concerns or complaints, please geekmail them to Cate108. Thank you for supporting the Vasel family. This gaming community is amazing. This is the complete version. Some of the decks have been opened and played but it is still in excellent condition. Free shipping in the USA. I will pay the first $10 elsewhere. Minimum Bid: None. I am confident that it will be bid high in no time. Opened and played. In excellent condition. In excellent condition. The cards have been punched but the skeletons for the cards are included. Old I.C.E. catalog is included. Shipping to the United States is free. International buyers pay actual cost to ship (less $10). 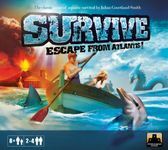 Asmodee edition in excellent condition. This copy has been played only a handful of times, and includes the Leap of Death. Used and complete. 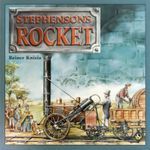 It isn't the greatest game, of course, but it is fun for families and out of print. Hopefully someone will step up and bid well. I will ship in the US, so don't worry about that. I will ship for free in the US. Box has some minor wear, but cards are in great condition. This is one of the later printings, so these cards do not have the initial print run's issues with text smearing. Shipping is free to the United States. International buyers pay the actual cost to ship (less $5). Here's a copy of Werewolf, one of Tom's favorites. Unplayed, shrink removed. Free shipping to US, first $10 to elsewhere. Best wishes to the Vasel family. There is a duck in every game. You may not see it, but it's there. English rules included. FFG import. New in shrink. Shipping free in the US, and first 10.00 to Canada. I don't ship to other countries. No opening bid, but you just might get dinged for 50.00 shipping (donated to Tom Vasel). If you try to low ball it. Edited to say, "No low balling here." 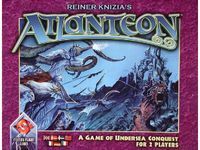 A not too well known game by Reiner Knizia. A high noon duel for 2 players set in the old west. Complete with rules, paper fold out board, dice, cards, tin to hold all the components, and wooden tokens used for ammo. Here's the pictures I took of the things that I will be including with the game. A westerned theme metal case to hold all the components of the game(unless you choose to fold the board several times you'll have to store the board separately). Along with some cowboy/robber playing cards(sleeved) that I just finished making. Also I was able to find the original magazine that Shoot Out was issued in. So I'll include that as well. Hey! 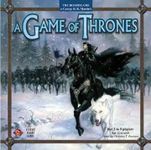 I run a board game blog at swordboardandpen.com! Come check it out! This is in Very Good Condition. Played once, and includes Deluxe versions of player aids that can be found in the Photo Section. Also includes an extra copy of Map 12. Box lid has a slight amount of dishing, and one corner is split. I will also include the three Plano mini-tackle box things that I have been using to store the counters. Will cover shipping in the US. International Pays Actual Shipping, and I can provide quotes if necessary. I live my life in growing orbits, which move out over the things of the world. Perhaps I can never achieve the last, but that will be my attempt. International, I will pay the first $10. I will include the Giant Squid along with it!! Edit: Inspired by Paul's pledge ...I will also donate an additional $25 on top of the winning bid! Brand new 1972 vintage game and a lot of fun. We will cover shipping in the U.S.
2nd copy Brand new 1972 vintage game and a lot of fun. We will cover shipping in the U.S. Please read: this entry is not for the game Generosity. Instead I am offering 200 entries for a raffle of a game of your choice (up to $60 MSRP). All funds raised through the entries will be sent to Tom plus I will send him an additional $0.50 for each person who enters the raffle (up to $100 total if 200 people enter the raffle). and (b) be adding $0.50 to my donation to Tom (up to $100 total if 200 people enter the raffle). One entry per person. All funds received (100%) will be sent via PayPal to Tom who I will ask to confirm payment here upon completion. Void where prohibited. Send me a geekmail with any questions. $1,000.00 donated by an anonymous non-BGG member!!! "I'm not screwed. I'm beyond screwed. Screwed is sitting across the room, waving at me, and saying, 'Hi! Glad I'm not you!'" I will contact him and post the game he selected. Once again, I want to thank all of the participants: donors, bidders and everyone else who helped out. This was a truly amazing event that is a great reflection of what can happen when the BGG community comes together. Stratomax second edition. Played once, great condition. I will cover all shipping in the US or the first $10 anywhere else. I received this in trade and it just doesn't get to the table because I have too many other games. I can't think of a better cause to contribute to. The game is in excellent condition and needs a good home. I offer free shipping via Parcel Post mail in the continental U.S.A. Otherwise I can offer $10 towards shipping to anywhere else in the world. I thrifted this copy of Pit. 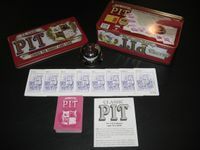 It is the edition shown here which comes in the metal tin box and includes the bell, although no instructions. Those I'm sure can be obtained via BGG. The cards have just a small amount of wear, but are still in very good condition. The tin and bell are in excellent condition. I will cover Parcel Post shipping in the continental U.S. I will put $10 towards shipping anywhere else in the world. All English editions in very good condition. I've never played these myself and it looks like the previous owner played them rarely and some of them even less than rarely. Free shipping to the continental US and first $12 elsewhere. In good condition, complete. I'll ship anywhere in the US and throw in an additional $25 donation on top of the winning bid. This copy is open and punched, but for the life of me I don't believe it's been played. Minor shelf wear, simply because it's been on my shelf for a while. I'll pay shipping anywhere in the US, and pay the first $10 for international. Please give this gem a good home. 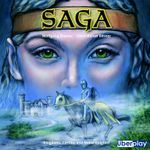 This is a used version of this fine game designed by Reiner Knizia and Klaus-Jürgen Wrede. It is complete, although one bottom corner is a little crunched & there is some shelf-wear on the box. This is a lovely two-player game, with absolutely gorgeous tiles & bits. I hope it goes to a loving home. Free shipping within the US, and I can only ship within the US. Edit: Whoever wins this will now receive Eight glasses! A good number of people have mentioned that they'd like a set of my glasses, well here's your chance to get a set and support a great cause. 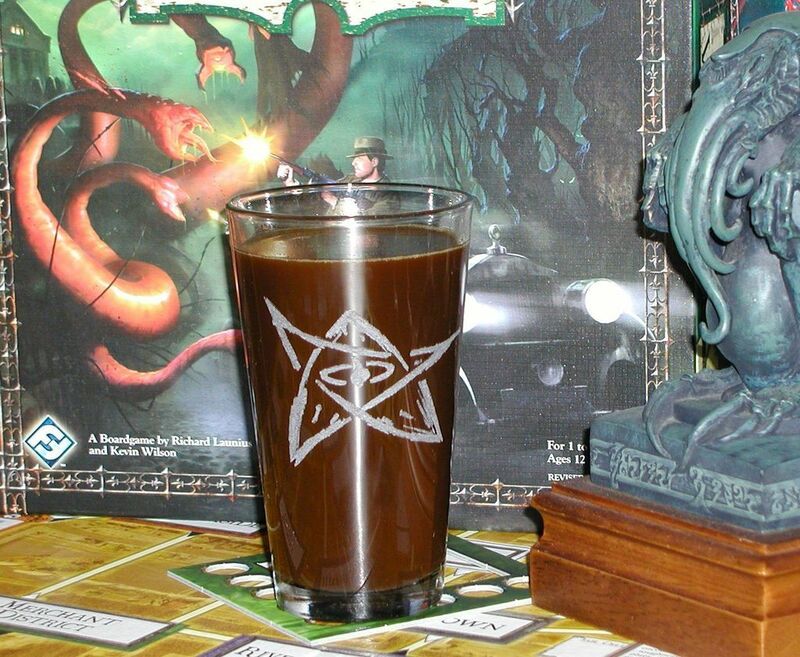 Four etched Elder Sign Pint Glasses made by me (or if you prefer, Yellow Sign Pint Glasses, or a mix of the two). The pint glasses are of heat-treated glass so they're a bit tougher than regular glass although I wouldn't recommend dropping them. Only two sets have ever been created, one belongs to Sol and the other by UndeadViking. A third set is being offered for the January Games for Geekgold. I will cover shipping in the US and I'll cover half of shipping for the rest of the world... or you can pay shipping and I'll donate it back to Tom and Jack.